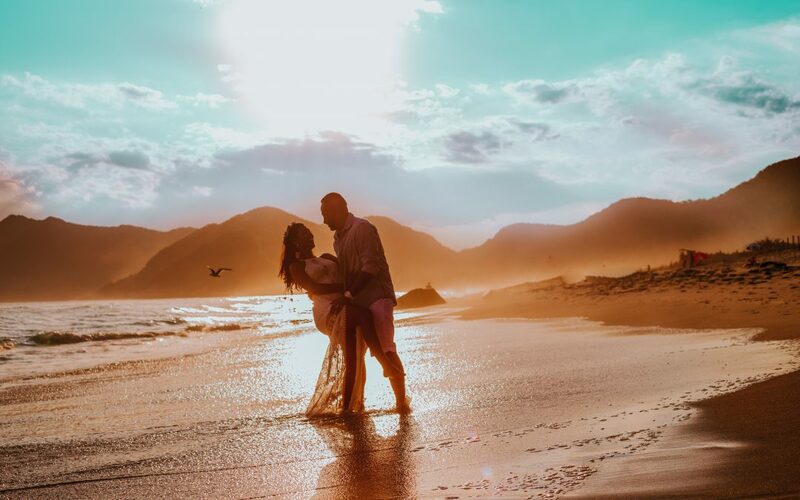 They heard you needed honeymoon ideas… Think of Bali as a honeymoon island, waiting for you… Celebrate your love in one of the best honeymoon destinations possible. Explore what your Bali honeymoon has in store for you. When you think of the best honeymoon destination, do you picture a tropical island paradise? Well, Bali is exactly that. They say life’s about the journey, not the destination. However, in this case, “they” may be wrong. This particular island is often referred to as, “Paradise on earth“. Before we dive into the luxurious details of your honeymoon, are you familiar with the island region where Bali is located? For instance, Bali is one of Indonesia’s 14,752 islands. These islands stretch 1000 miles North to South and 3100 miles East to West. In other words, they consume their share of the Java Sea, Indian Ocean, Bali Strait, and Lombok Strait. Fittingly, “The Land Down Under” is to the South of the Islands and Asia borders the North. Subsequently, all of the countries are in the Eastern Hemisphere, however, Indonesia straddles the equator. Therefore, Indonesia is in both the Northern and Southern Hemispheres. Furthermore, being that close to the equator causes the climate to be warm and tropical all year-round. This unique geography also allows Bali to be home to many exotic plants and animals. For instance, the largest flower in the world calls the islands home. The splendidly red and round, Rafflesia Arnoldii measuring in at a circumference of 3 feet! 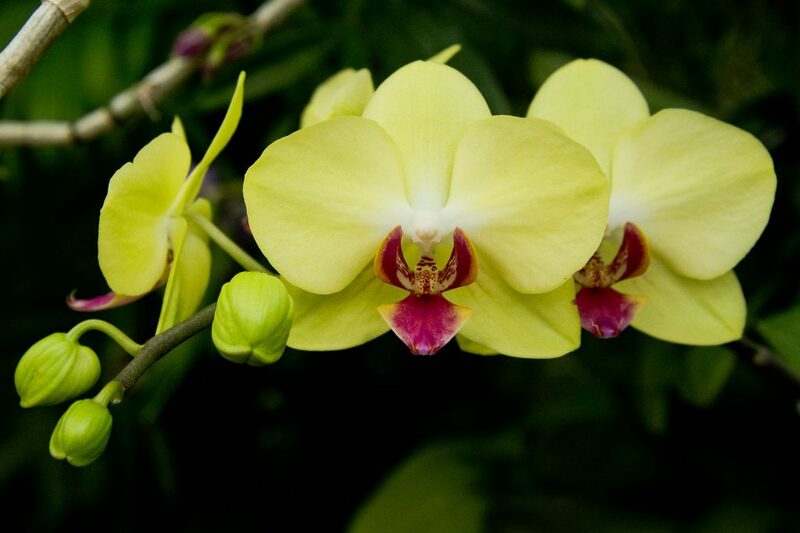 Along with these amazing examples of beauty are also roughly 5000 species of Orchid. Not only are Bali’s flowers impressive, but its animals are too. 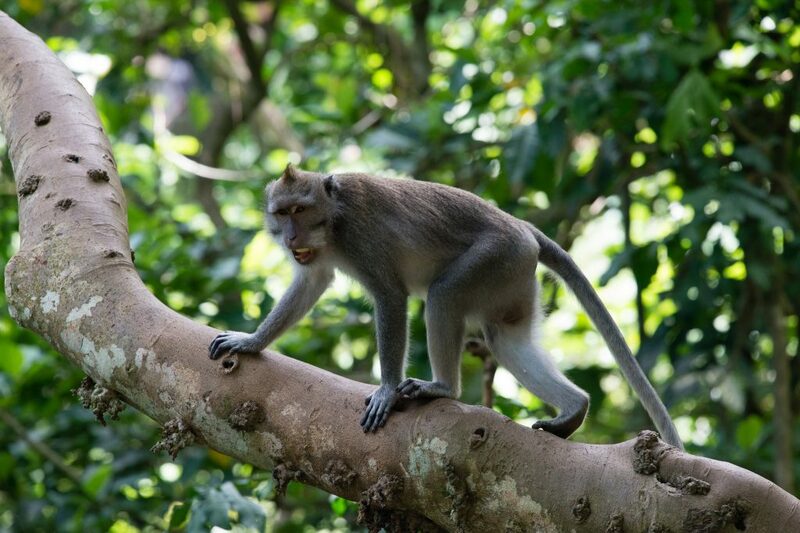 You can make friends with the local monkey population in many areas of the island. The nearly extinct Orang-utans and Komoto Dragons both roam the jungles of this region. All of these creatures and flowers are watched over by 1500 different species of birds. What a treasure these islands are, from the land to the sea. 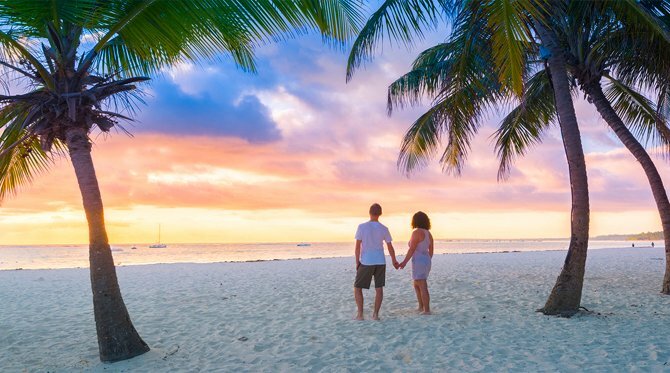 Location, Location, Location – Which one for perfect couples holidays? Bali’s location is very popular for couples holidays and superb for anyone who loves sunshine and warm weather. For example, the average temperature year-round is 81 degrees. Even during the wet season it only rains a few hours at a time and the temperature rarely fluctuates. This creates a wonderful environment for tropical rainforests and a diverse marine ecosystem. 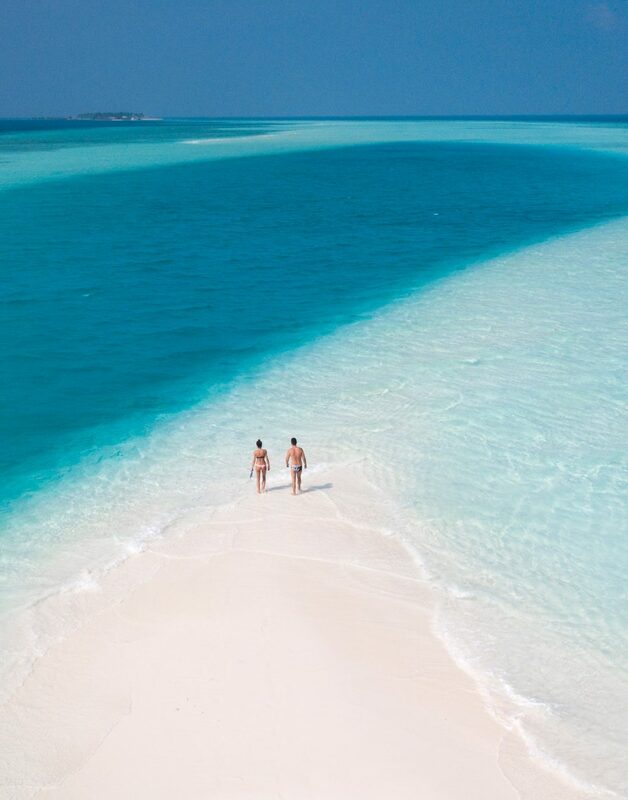 Surround all of this with brilliantly blue waters, white sandy beaches, and the love of your life. The two of you will be strolling, or maybe snorkeling along, hand in hand enjoying your newlywed status. Every couple has different honeymoon ideas, and Bali has something to satisfy all of them. 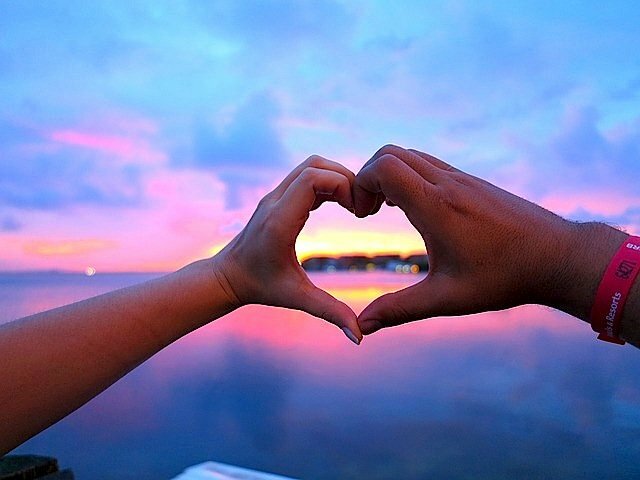 From romantic sunsets on beaches to long walks through the jungle you are sure to find ways to fill your days. A lovely option to get an all around island experience would be booking a luxury Bali tour. First, just click the “Honeymoon” tab to start your once in a lifetime journey to one of the best honeymoon destinations imaginable. Second, watch all of your dreams unfold before your eyes as you scroll. After that, bask in the many possibilities of ways to spend your first days as a Mr. & Mrs.
Bali is nicknamed, “Island of the gods“, and the Balinese people strongly believe in peace, harmony, and happiness. 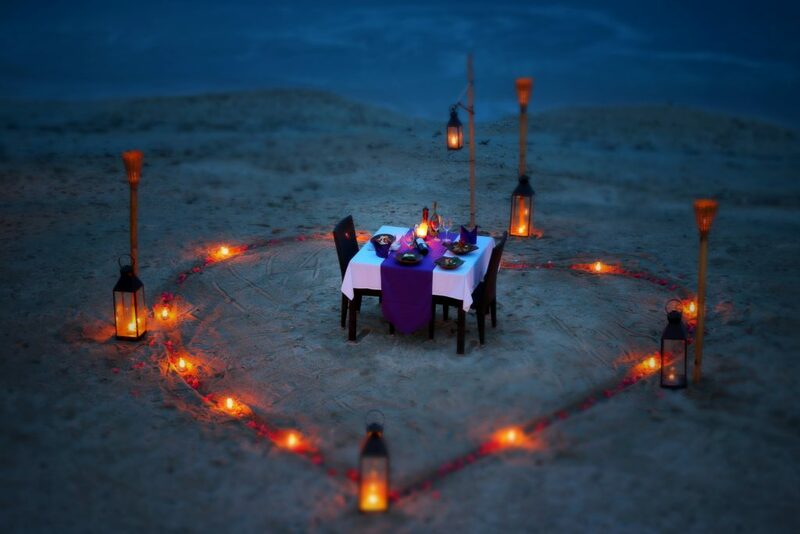 What an excellent place to build a foundation for a relationship of a lifetime, while surrounded by paradise. These elements are a strong part of the culture and are displayed in many ways throughout the region along with being reflected by the local people in their day to day interactions. The two of you will be welcomed into communities and establishments as if you are family and encouraged to join in social activities, meals, and adventures. Truly experience island life in a “home away from home” setting. Balinese use dance as a form of expression and entertainment. There are numerous forms of island dance, each with varied movements and colorful costumes. One example is the Barong Dance. This is an art show of Rangda VS. Barong. In other words, chaos and destruction compete against good and evil. The Islanders use dance to express emotion and display beauty…romance is in the air. There are numerous daily island activities to enjoy while in Bali but also on and around the neighboring islands. For example, the island of Lombok and the 3 Gili islands offer some of the worlds most unique and exciting snorkeling. Enjoy watching what happens below the surface while making memories together gliding through an exotic underwater wonderland. Next, an adventure into the depths of the jungles, explore the colorful dreamland full of painted birds and plants. Engulf your love with the serenity of natural pools and waterfalls deep in the forest. Admire the canopy and the lush forest floor watching nature’s magic come to life as you pass by. There are guided walks as well if you prefer, or go it alone and discover the many hidden gems that the roads less traveled have to offer. 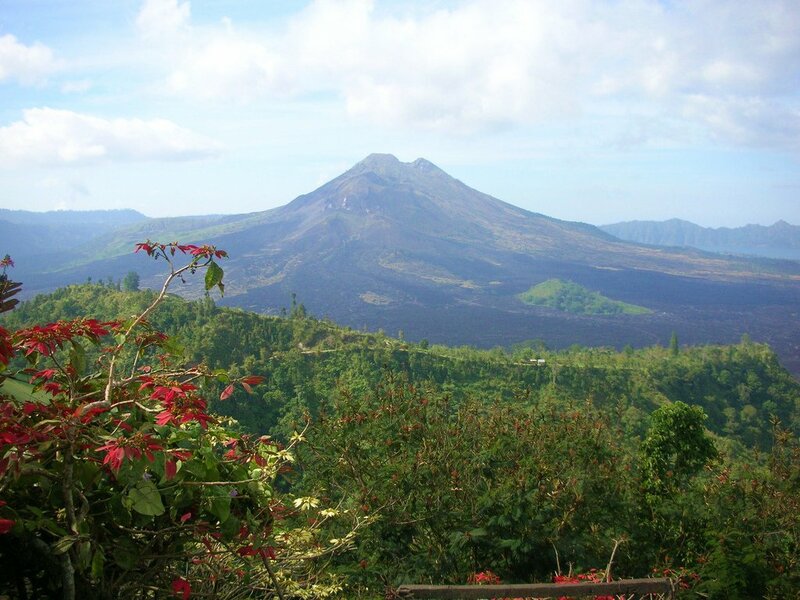 Certainly, if you are up for an expedition, hike one of the ancient volcanoes and admire the incredible views. Most importantly, let your souls soak up the true spirit of the islands with one another. 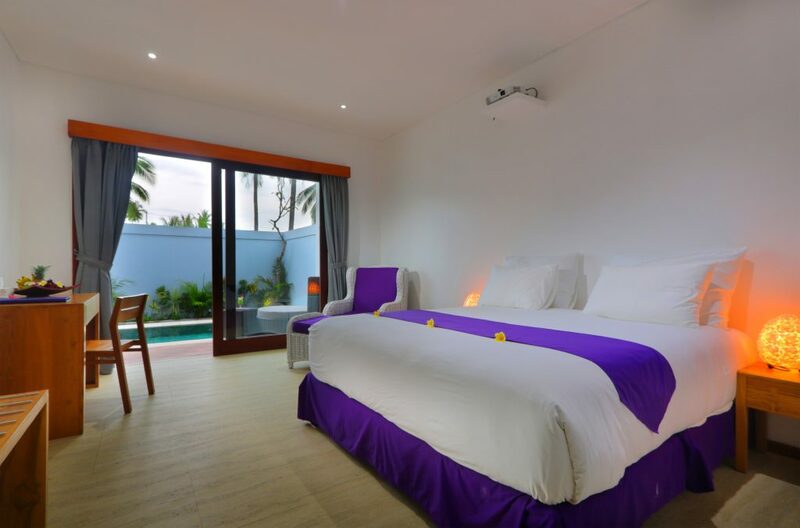 When you dream of your Bali Honeymoon do you picture luxury accommodations complete with ocean views and private beaches? What a coincidence, so do we. It just so happens that Bali and the surrounding islands are beaming with first-class villas, resorts, and spas. Speaking of the ideal Honeymoon Island. The two of you can cozy up by your own private pool, in a semi-outdoor living room, on a stretch of private beach, or in a pool overlooking a garden. Share your meals on your private patio and have them delivered, fresh, and homemade. On the other hand, maybe take your soulmate out for the evening to one of several fine dining or casual atmosphere restaurants. On-site convenience or just a stroll away all your dining needs and cuisine preferences can be met with ease. The on-site spa is a premium example of luxurious self-indulgent therapies Bali resorts offer. And couples packages are available. If a world-class spa isn’t on your best honeymoon destinations list yet, it definitely should be. 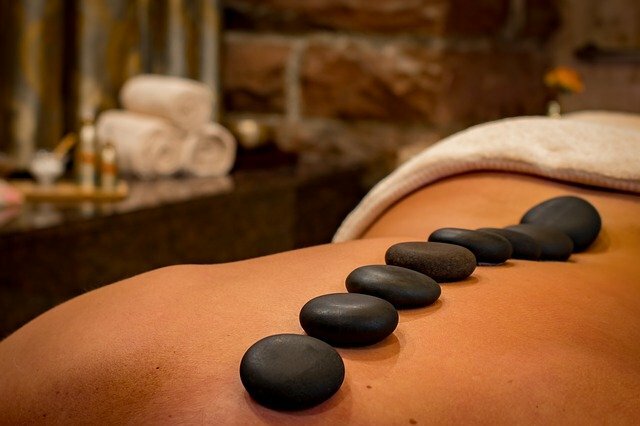 The on-site spa options make a splendid opportunity for pampering yourselves. Relax and absorb the full benefits of a soothing massage together, let all of the world slip away and just the two of you exist. 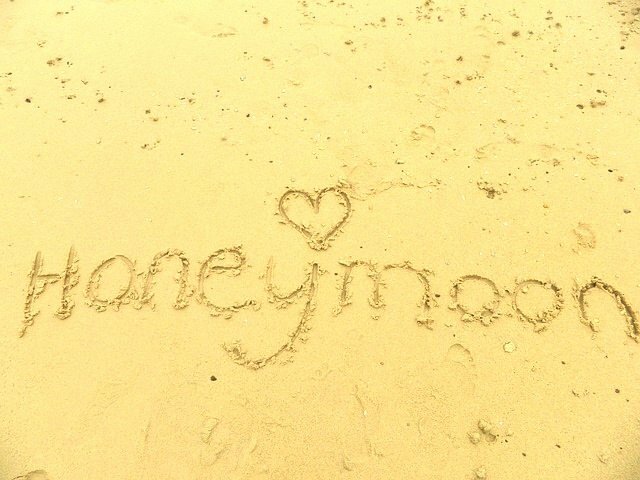 After all, this is one of the best honeymoon destinations! Next, go for a walk and tour the art market. How about a short glimpse of the shopping centers, sit and soak in some rays on the sun terrace, or simply enjoy a drink at the swim up bar. Options are endless while staying on the islands! Are you looking for something a little bit more active? Now, for the best honeymoon destinations, we choose Bali as our number one. How about you?